I love Cheri’s Chinese Fortune ornament. It will just glitter and shine next to the lights on the Christmas tree. For an ornament last week, I did an homage to my stepfather’s sequin and pin ornament and for today I am doing one for my sister. Loryn has this ornament that she received from our grandmother (Memom – the other two sisters’ that make up The Crafty Sisters, mom) in 1981. As we were growing up Memom would give us each a Hallmark ornament for Christmas. One of the joys of decorating our tree was being able to hang the ornaments that were yours. 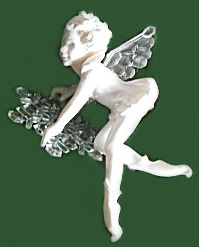 This one in particular was a lovely Ice Fairy holding a snow flake. This is the original ornament. Unfortunately not ours, as this one still has her wings and snowflake. I made her with silver wire. I started with the arms, wired on the neck and head and then continued with the rest of the body. 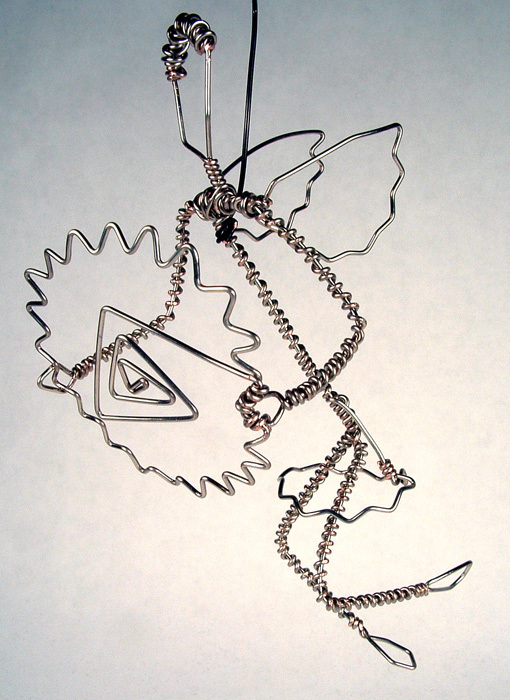 Then I made the snowflake and wired it onto one of the hands and adjusted the other hand to hold it. The wings were made next and each is wired separately to her shoulders. I added her hair last. This is so fantastic and thoughtful. Love, love, love it! I promise I won’t lose the wings and snowflake by playing with it too much! 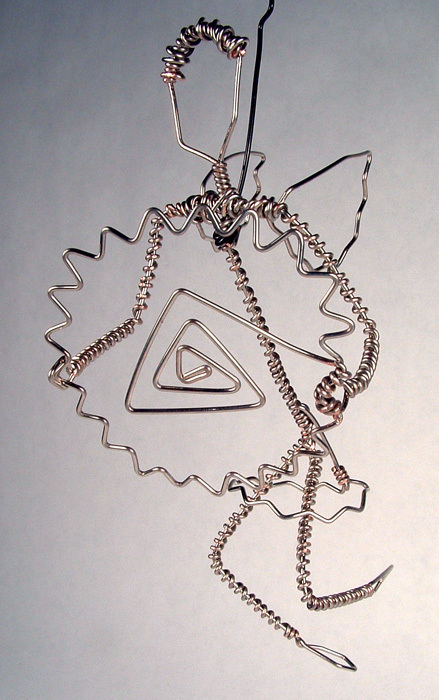 Awesome wire work. I love it.